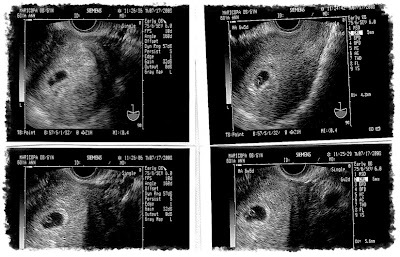 So teeny weeny our Little Bebe at 6 weeks & 4 days :o) It's really something seeing his heartbeat flicker on the screen --- for the first time! Hello our sweetie! tama ka, i hate the breakouts din kaya it took me several weeks to have my pictures taken.